Don’t hate on her, her acute morning sickness, technically known as hyperemesis gravidarum is definitely not your run of the mill “throw up and go to work” kind of morning sickness that most of us have dealt with during our pregnancies. HG is nothing like regular, run of the mill morning sickness. Doctors say that there are some women who have HG who throw up so much that they blow their eardrums, or fracture a rib. If a woman can’t stop throwing up enough to keep vitamins down, that is a real problem. A woman has to be able to at least keep a little something down so that they baby gets the nutrients it needs. Princess Kate has been trying lots of different things to combat her HG and stay as healthy as she can during her pregnancy. Read on for some of the things she is trying! Rumor has it that the Duchess of Cambridge is turning to hypnotherapy to help her deal with her food aversions that have been plaguing her during her pregnancy. Since she has been so sick throughout much of her pregnancy, she has a hard time now finding any food appealing, and she is understandably afraid to eat very much. She is trying to use the hypnosis to get over those feelings so she will be able to eat plenty of nutritious food to grow her pregnancy. Fresh Air is also very helpful for combating HG. Doctors say that most women with HG find it helpful to have the windows open all the time, and also to have a fan near them at all times. It can be really hard for a woman with HG to live a normal life, since everything from her husband’s cologne, to any food smells, to the smell of a dog, can make her extremely sick. Women with HG have a heightened sense of smell and are incredibly sensitive to scents that the rest of us wouldn’t even notice. Kate has been said to be combating her HG with lots of fresh air. Prince Charles’ wife, Camilla, has been said to have recommended lavender shortbread biscuits to Kate to help combat her sickness. Women have long used lavender as a remedy for morning sickness, putting a few drops of lavender oil in their baths, or spraying it on their pillows, but Kate seems to like eating the lavender biscuits instead. 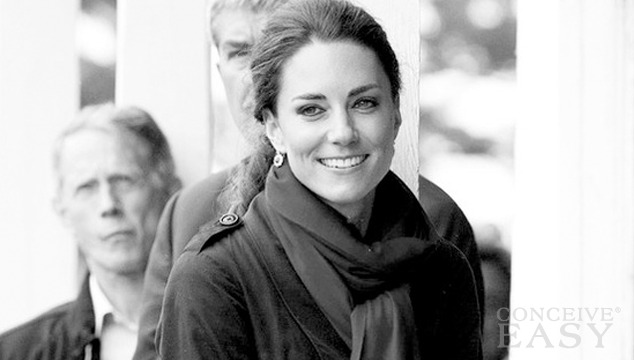 Princess Kate has reportedly been stocking up on candles too, to help combat her morning sickness. Not just any candles, either. The candles that Kate is said to love are from NEOM Organics, and they cost right around $65 each! The candle is made from the oils of the rare African buchu plant, and apparently smells like black currant. The candles are supposed to help ease gastrointestinal issues and nausea. Apparently, Kate has found them to be very helpful in combating her morning sickness.